Everyone loves a good mani/pedi every now and then. It keeps your hands looking fresh, plus it feels good to treat yourself. 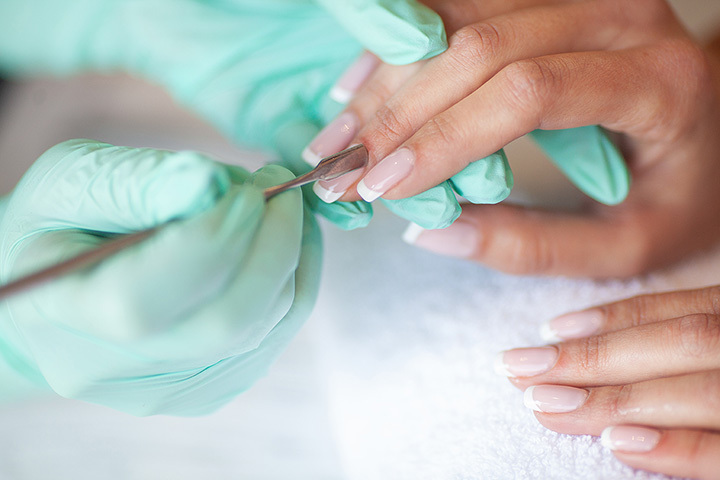 Whether it’s a pristine French manicure you’re looking for or a spa-like pedicure treatment, Indiana’s nail salons run the gamut. From Indianapolis to Kokomo, here are the 10 best in the state. City Nail Bar is the BEST place in Indianapolis to have your nails done. They only use high-quality products which are vegan, non-toxic, and five free (free of the five most toxic ingredients found in other polishes: Camphor, DBP, Formaldehyde, Formaldehyde Resin, and Toluene). The salon is also committed to using the highest sterilization process which includes disposing all porous instruments after each service, using hospital grade disinfectants, and zero whirlpool jets. With their gel manicures, they use LED drying lamps instead of UV lamps. Total Rethink is fairly new to the Kokomo area but already they’ve become quite popular when it comes to mani/pedis. They use a Micrylium cleaning and disinfecting product, as well as new files and buffers for each manicure and pedicure and a new pedicure liner with each client. For their pedicures, they have staff that specialize in footcare and perform a foot and leg evaluation before starting each pedicure to determine the exact type of service needed. Mia Nail Spa in Zionsville is all about providing healthy nail products to their clients, including organic acrylics and the infamous dipping powder, and a clean, sanitary environment for pedicures, which feature the cool new Pipeless Whirlpool System and sink liners. All of their products are natural and free from chemicals, perfect for those with sensitive skin. Give the gift of pampering this year by gifting your loved ones an experience at the Village Spa in Carmel, Indiana, where you’re greeted with a warm smile and a cup of water or tea. The environment of the Village Spa is one of peace and relaxation, giving it a quiet, intimate setting to allow the stresses of the day to just melt away. Part of their signature manicure service that guests love most is the Eco-Fin treatment, which features a hot oil aromatherapy dip versus the traditional paraffin wax. BB Nails and Spa offers quality manicures and pedicures at affordable prices. They also offer one of the hottest new manicure trends of 2018—dipping powder. With dipping powder your nails look more natural and unlike traditional gel manicures, it doesn’t require UV lights to bond the powder to your nails. There are a variety of colors to choose from no matter the occasion, whether it’s Christmas, New Year’s, or Valentine’s Day! No matter your manicure preference, BB Nails and Spa is the place to go in Fishers! Jenny’s Nails is the hidden gem in southern Bloomington, Indiana. For affordable style and quality upkeep, their gel manicures are the way to go. The salon prides itself on assisting their clients in keeping their nails strong and beautiful with a gorgeous gel manicure, and the mani/pedi experience itself is to die for. They also offer other salon services as well, including waxing. Friendly service, a relaxing environment and high-quality, Italian products. That’s what you’ll find at Expressions Salon and Day Spa in the small town of Warsaw, Indiana. Located up in the northern part of the state, this beautiful salon and day spa has been around since early 2001. What makes this salon even more special besides their amazing mani/pedis is that they are a Hello Gorgeous affiliated salon, which provides complimentary, professional makeovers and cosmetic education to women battling all cancers. The World Nails and Spa is an independently owned and operated business that believes in enhancing the natural beauty of each and every one of their clients in Lafayette. If you’ve ever wondered just exactly how clean the tools are with each mani/pedi, you need not worry here. All equipment is sanitized and disinfected prior to use, and each client is provided a sealed packet of sanitized equipment at the start of each service. Be sure to try their Smoothing Pedicure and enjoy the aroma of the All-Spices Berry Sole Solution for those heels! Welcome to the Chateau Bijou Salon and Spa, where you’ll find yourself in a castle like setting with beautifully exposed brick walls, gorgeous wooden beams, ornate metal, and all the delicate touches one could imagine. This place is truly one of a kind and is all about comfort, style, and relaxation. If you’ve never had a manicure before, the Chateau Maintenance Manicure is the best way to start. With each manicure, your hands will be dipped into some of the world’s finest moisturizers infused with delicious essential oil aromas that will leave you feeling relaxed and pampered. Keep your hands looking eternally beautiful at The Look, Salon and Style in southern Plainfield, Indiana. The bowls that the salon uses are made of pure copper, known for its healing and purifying properties in ancient Egypt. Soak your hands and feet and feel your immune system begin to heal itself and your joint pain and tension start to disappear! Whether it’s a basic mani/pedi or a gel French manicure, your hands and feet will feel like an Egyptian goddess every time!